Our location just west of Flagler Beach, on the northeast coast of Florida, is beautiful year round. 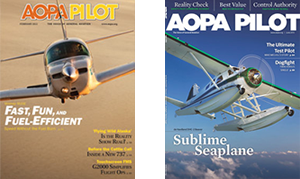 Many of our seaplane pilot students choose to bring their families with them, so their seaplane rating turns into a vacation for everyone. There are dozens of state and local parks nearby featuring uncrowded beaches, lush vegetation, and further inland many natural springs featuring swimming and the occasional manatee encounter. In less than 90 minutes, you can drive to any of the Orlando theme parks, including Disney World's Magic Kingdom, Epcot, Animal Kingdom, as well as Sea World, Islands of Adventure, and Universal Studios, and others. Or you can travel down the coast and visit Kennedy Space Center, or any number of beautiful beach towns on the northeast coast of Florida. 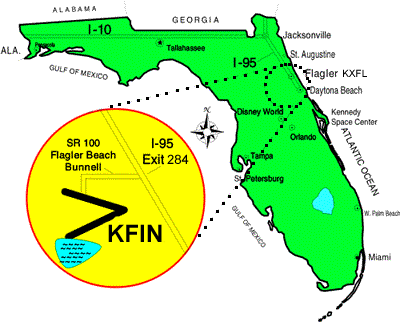 We are located at the Flagler Executive Airport (KFIN) 19nm north of Daytona Beach International Airport. If arriving by private airplane, there are tiedowns, fuel, rental cars and a restaurant located at the airport. Please visit our lodging page to see our list of several hotels in the area, some of which have made agreements with us for discounts for our customers. If you have any questions that this page does not address, please fill out our contact form, email, or call.